CLI offers one of the most comprehensive advanced ICF accredited ACSTH coach training and certification programs in the world. CLI has been advancing the field of effective Professional Executive Coaching, Business Coaching and Life Coaching by developing the award-winning Mind-Kinetics® Coaching methodologies, a Certified Coach Training model that honours, supports and enlightens the spirit, mind and body. CLI's Universal tools offer a holistic, cross-cultural, and integrative approach to coaching that includes the whole person and all areas of life. CLI's Signature Mind-Kinetics® Coach Training Program is offered On-Site, by Distance Learning, or a Blended combination of both. This step-by-step, LIVE Coach Training & Certification provides you with ALL the essential Coaching Skills, Leadership Tools and Practices required to be a highly effective, successful, and internationally recognized Certified Life or Certified Executive Coach with professional standards in accordance with international governing bodies. 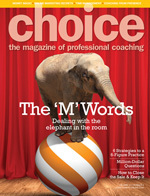 Choose your Coach Training Level to Match your Vision and Professional Goals. click to Download CLI's Mind-Kinetics Coach Certification Curriculum. CLI's masterful Coach Training Program is offered in building-block levels that all lead to your Professional Certified Power Coach® designation in a way that provides flexibility to meet your time commitments and budget. The main language of instruction is English and we invite you to enquire about additional language possibilities. You may register to take the courses one Level at a time, or to fast track your learning and career, choose to become a Professional Certified Power Coach® (PCPC) all in one powerful training. REGISTER Early & SAVE* 10% for 90 Days in Advance or SAVE* 5% for 45 Days in Advance, for APC, CPC, CEPC & PCPC Programs as shown on this page. *Early Registration Savings only applies when your registration is paid in full at time of registration. This cannot be combined with other special offers. at +1-250-652-5390 or via our Contact Page. Includes CLI's written 'APC Knowledge Assessment' and sufficient ICF accredited ACSTH to apply for your ICF ACC Designation. How to attain faster success at work and home by getting to "the heart of the issue"
PLUS learn 6 PCMK� Lasers for quick 10 minute coaching! when you register 45-90 days in advance of your course start date. Includes CLI's written and oral 'CPC Exams' and Sufficient ICF Approved Training Hours for the ICF PCC Designation. 39 indispensable Mind-Kinetics� coaching methodologies for problem solving and goal achievement - these jewels will make you look brilliant in the coaching world! PLUS learn 6 PCMK� Lasers to help Client's achieve solutions in less than 10 minutes! BIG SAVINGS! By investing in this designation upfront you save $700! Save even more by registering 45-90 days in advance of course start dates. Register now. As an Executive Coach your Clients expect you to be both Coach AND Mentor. Betska�s experience is that she spends approximately 70% of her time conducting pure coaching sessions and the remaining 30% mentoring the Executives on topics ranging from employee engagement to strategic planning. These are tools they don�t teach you in MBA School! Learn Secret Tips to Executive Coaching! Share them with your Clients! Along with having the most powerful coaching methodologies in the industry at the CPC level, you will now have Leadership Tools to share with your clients to provide them with a success formula for leadership success. and Unique Executive Leadership Tools You will Learn and Share with Your Clients. The CEPC add-on follow successful completion of your (CPC), Certified Power Coach� Program. You must be a CLI Enhanced Licensee in good standing. Learn 80+ vital PCMK� coaching methodologies for problem solving and goal achievement - these diamonds will reflect your intuitiveness as a great coach! Become skilled at helping Clients discover "A New Way of Living"
Plus, acquire the additional 12 items listed under the CPC Designation above! BIG SAVINGS! By investing in this designation upfront you save $1,100! Save 5-10% more by registering 45-90 days in advance of course start dates. Register now. With this package you will acquire all the skills shown in the PCPC package above PLUS you will work one-on-one with an accomplished business mentor and Power Coach� to create a customized Marketing and Business Plan and build a booming business. BIG SAVINGS! By investing in this coach training and businness building package upfront you save $2,100!